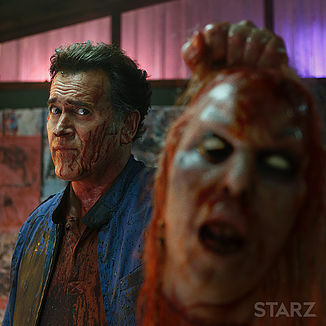 “I don’t think about death,” calmly states Bruce Campbell. That’s ironic, coming from him. Over the last 40 years Campbell’s become a legend in the entertainment industry for fighting off deadites and dealing with the Necronomicon. Having starred in what is arguably one of the most popular cult horror-franchises in the history of cinema, Campbell’s nonchalant declaration is a little unexpected. And yet, his notoriety from the Evil Dead films and series is actually an unintentional byproduct of a serendipitous series of events in an otherwise vast and all encompassing career.